You may be wondering what sets dental implants in Framingham apart from other approaches to smile restoration. The answer lies in what you can’t see: the part of the implant beneath your gum line. That’s what makes modern dental implants the treatment of choice for missing teeth. One way to understand what we’re saying is to consider the way modern residential homes are constructed. A well-built house can withstand decades of exposure to the elements and still keep doing its job. One of the chief reasons why it’s able to do so is its foundation. Your home can weather what the heavens send its way because it’s grounded in the strength of the earth itself. Dental implants work in much the same way. At the heart of every implant is a small titanium fixture embedded beneath the gum line in the patient’s jaw. This is exactly how healthy natural teeth work. It’s why dentists recommend implants whenever possible over other forms of restoration. Implants Versus Adhesive Dentures: What’s the Big Difference? Please understand, we’re not putting down traditional adhesive dentures. They’ve helped countless people to overcome the problems associated with missing teeth. For many patients, they’re the best solution available. However, adhesive dentures have a critical weakness: they rely upon liquid adhesives and physical pressure to stay in place. This means that they can come loose unexpectedly, such as during the middle of a meal or a friendly conversation. This forces many patients to give up the foods they love, avoid favorite activities such as sports, or even withdraw into a life of loneliness and isolation. Reserving the effects of tooth discoloration is no easy task. To lighten the appearance of stains, you have likely tried a few over-the-counter products, but you were left disappointed because you did not achieve any real change. You know professional teeth whitening in Framingham can give you the results you want; however, in-office treatments can be expensive. Framingham Premier Dental strives to keep our services competitive. We will help you get the bright smile you want while staying within your budget. Your teeth naturally darken over the years because your enamel becomes thinner from daily wear and tear. This causes more of your yellowish dentin to be more visible. Besides age, there are several other factors that influence the brightness of your teeth, like poor oral hygiene habits. Consuming darkly pigmented foods and drinks will also cause your teeth to change color over time as well as smoking. To restore a bright smile, you have likely tried a few over-the-counter whitening products. Although toothpastes, stripes, and mouthrinses are convenient, they will not give you the results you want. They do not contain professional-grade whitening agents, so they cannot deeply penetrate the enamel. They only slightly improve surface stains, but the results will not last. 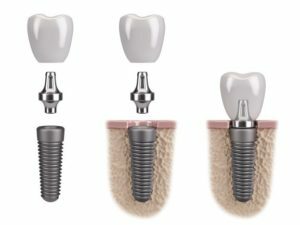 Dental implants from an implant dentist in Framingham are designed to last for decades. That’s because they’re crafted from medical-grade materials that are not only strong but exceptionally lightweight. Modern dental implants are indistinguishable from natural teeth. The fixture. This is what gives the implant its remarkable strength. It consists of a tiny titanium fixture that sits beneath the gum line and fuses to the bones in your jaw, just like the roots of a natural tooth. Dentists use titanium for this purpose, the same metal used to make airplane wings. The abutment. This is what joins the fixture to the restoration itself. It’s added after the fixture fuses to the underlying bone through a natural process called osseointegration. The restoration. Sometimes called the “prosthesis,” this is the artificial tooth, denture, or bridge that serves as the visible tooth. It’s made from a mixture of ceramic and other materials. Dental implant therapy occurs in stages. The first step is to emplace the fixture. Like any other form of dental surgery, this is performed using anesthesia and sedatives for your comfort. 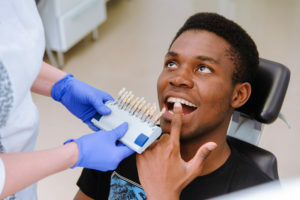 The dentist will place the fixture underneath the gum line and close the surrounding tissue over the area of treatment. A waiting period of 2-3 months normally follows this phase. This is to allow the surrounding bone to fuse with the fixture. 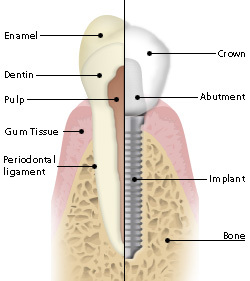 During your second visit, the dentist will place the abutment. He or she may also place the restoration itself at this time. Once it’s ready, you’ll be ready to show off your fully restored smile to the world. It goes without saying that it’s hard to feel confident when you don’t like your smile. Not to mention that feeling embarrassed about your teeth can hold you back from your personal and professional goals! And although very few people are born with a “perfect” smile, cosmetic dentistry has made it possible for anyone to achieve a smile they can feel good about. 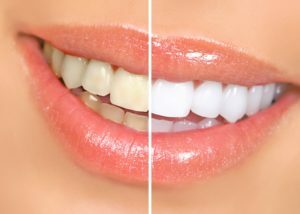 One of the most popular procedures is teeth whitening in Framingham because it’s an easy way to get big results with a minimal investment of time and money. So, once you’ve decided to take the plunge, what are 3 considerations you should think about beforehand? Keep reading to find out! 1. How Quickly Do You Want Your Results? Do you have a fast-approaching event like a wedding or high school reunion that you want to look your best for? Or do you have time to get your results more gradually? Professional take-home trays – This option allows you to control the whitening process. You’ll get gradual results by wearing custom-made trays filled with professional-strength whitening gel each day for 30-60 minutes (for a total of about 2 weeks). ZOOM! – This in-office option is the fastest and delivers dramatic results in about an hour. After a whitening gel is applied to your teeth, a special light will be applied to accelerate the process. You’ll be monitored throughout the procedure to make sure you don’t have sensitivity. 2. How Long Will Your Results Last? Everyone needs occasional touch-ups after a whitening treatment. Although how often will vary depending on lifestyle, most people touch-up about once a year. How Much Does Invisalign in Framingham Cost? Invisalign in Framingham offers distinct advantages over traditional metal braces. Nonetheless, many people who could benefit from Invisalign therapy hesitate to see their dentist due to concerns over costs. Fortunately, Invisalign is not only effective it’s also affordable, especially when compared to the expenses associated with other options. The amount of treatment you need to correct the underlying problem. Your age and the state of your overall health. The type of health coverage you carry. The city or region of the country in which you live. For most people, costs for Invisalign before insurance and discounts usually range from $2000-$5000. This compares favorably to expenses for traditional braces, which can cost up to $6000 or more. The first resource you should consider is private dental coverage. Most plans cover a portion of Invisalign expenses. Check with your insurance representative, human resources specialist or benefits coordinator for more information. Most Invisalign patients find that there is still an outstanding amount due after allowing for insurance contributions. There are a variety of ways to cover these costs, including private financing. Many lenders specialize in helping people to afford Invisalign and other dental procedures. Check with your financial institution or a reputable online source to find out more. You can also talk to your dentist about setting up payment plans. Do you wish your teeth were straighter? Thankfully, Invisalign treatment can give you a perfectly straight smile without the hassle, maintenance, and appearance of metal braces. Read on to learn the average cost of Invisalign in Framingham, why these clear aligners are worth the investment, and how they can improve your health and confidence from your local dentist. The cost of Invisalign can vary based on where you live, and the kind of alignment you need. For patients in the Framingham area, the average cost of this treatment is $5,000. This may seem like a big chunk of change, but Invisalign is a treatment well worth investing in. See below to learn why. Possibly their biggest benefit, Invisalign clear aligners allow you to straighten your smile without the unsightly look of metal braces. With Invisalign, you can go about your daily life without anyone noticing you’re on your way to a beautifully straight smile. Since Invisalign aligners are removeable, you can take them out to eat, drink, or brush your teeth. Rather than having food caught in your braces and bothering you all day, Invisalign offers the patient a chance to be able to eat whatever they want with confidence. Just make sure to rinse your teeth and your aligners before putting them back in your mouth. Traditional braces are known well for their safety hazards. The metal brackets can get caught on the inside of your lip and cheek, which hurts a lot. And, if you play physical or contact sports, the chances of an injury due to braces are high. Are you thinking about Invisalign treatment? It is an incredibly popular way to straighten your teeth while keeping your smile looking good and metal-brace free! Invisalign in Framingham is not only an investment of money, but time as well. 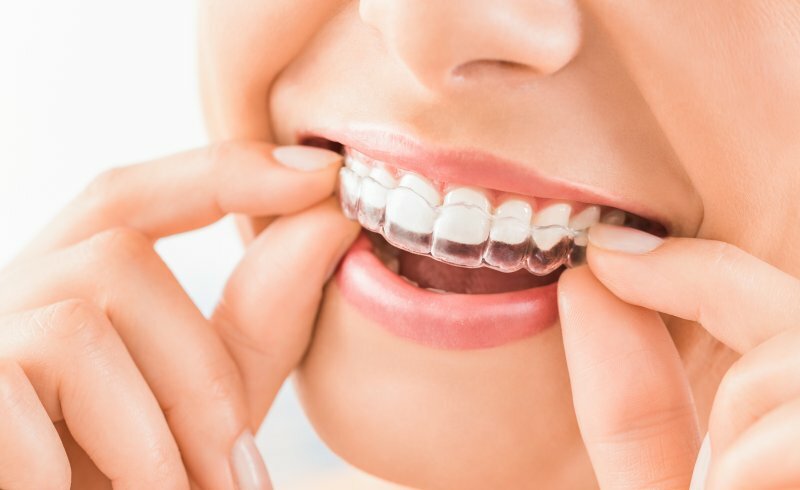 It’s best to make sure you know what you can and can’t eat, how often you should wear your aligning trays, and how to clean them to get the most out of your Invisalign. Keep reading to learn the do’s and don’ts while using Invisalign to make your treatment as easy, fast, and successful as possible. Take it out when you eat: You must remove your aligning trays to eat, and then brush your teeth before putting it back in to ensure your Invisalign trays stay clean. Smaller meals during the day: Because you can take your Invisalign out to eat, you can eat almost anything you want as long as you clean your teeth after. Your Invisalign must be worn at least 22 hours a day so your meals cannot last too long. Instead, eat small meals and snacks that require minimal time for you to take it out. Cleaning: Each morning and night, take your Invisalign trays out and clean your teeth and the trays thoroughly to get rid of bacteria. In addition, rinse them out every time you take them out of your mouth. You can also use clear anti-bacterial soap to clean them. This will ensure saliva and plaque don’t build up in your aligning trays. Handle them carefully: Invisalign can scratch and crack, so make sure you take care of it. Many patients want to brighten their smiles, and they devote nearly countless hours and dollars to using over the counter teeth whitening options. Unfortunately, unless you understand the underlying causes of your tooth staining, you may not be using the most effective smile brightening products. This is where a professional cosmetic dentist comes into play. When you partner with a cosmetic dentist, you will get the care you need to predictably achieve a smile up to ten shades brighter. In this post, we’ll review some of the most common causes of tooth staining, and how a cosmetic dentist can help you brighten your smile with professional teeth whitening and other treatment options to address your unique dental staining. There are some daily habits that lead to dental discoloration. The most common habitual staining comes from poor oral hygiene, tobacco use, and consuming large quantities of darkly colored foods and drinks. 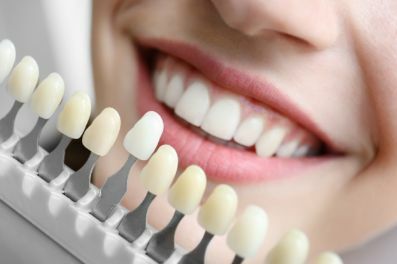 For staining caused by these habitual behaviors, a professional in-office or take-home teeth whitening plan is usually effective in delivering the flawless, bright white smile you deserve. However, you will need to make some changes to these habits to ensure you can maintain your brighter smile. Our team will be happy to partner with you to review the habits that lead to your dental discoloration and help you plan to avoid further dental staining. Enhancing your smile with porcelain veneers can be life changing for most patients! Veneers create beautiful teeth, which allow you to smile with confidence. This can help you achieve your personal and professional goals. While porcelain veneers are stain resistant, there are some things your Framingham cosmetic dentist wants you to know about your veneers that will help you make the most of your investment in your smile. Dental veneers are comprised of a thin, micro-layer of porcelain that covers each tooth. The veneers are coated with a protective, stain-resistant resin that helps them maintain their shade and protects the veneers from damage. Keeping the coating intact is the key to your veneers remaining stain resistant. If the protective resin coating is scratched or damaged, by eating hard foods or using abrasive toothpastes, it will eventually begin to allow staining to happen. Just like with your natural teeth, it’s important to protect your veneers by limiting certain foods and beverages and avoiding biting into hard foods such as apples, carrots, or crusty bread. These foods can still be enjoyed in smaller bite size pieces that don’t run the risk of breaking or damaging your veneers. Acidic foods and drinks will also wear away the protective coating of resin on your veneers over time. So be wary of food like lemons, marinara sauces, and soy sauce.